True Wild Life | Cow | Cows are raised in many different countries around the world, mainly for the cows natural resources such as milk, meat and leather. 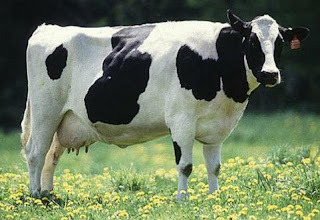 In India the cow is seen as a sacred animal. There are thought to be nearly 1.5 million cows worldwide, most of the cows are sadly kept by farmers but there is sure to be the odd rouge escaped wild cows somewhere! Cows spend their days in herds of around 40-50 cows, grazing on the grasslands and shrubbery. There is an old English tale which claims that cows will always sit down when its going to rain. 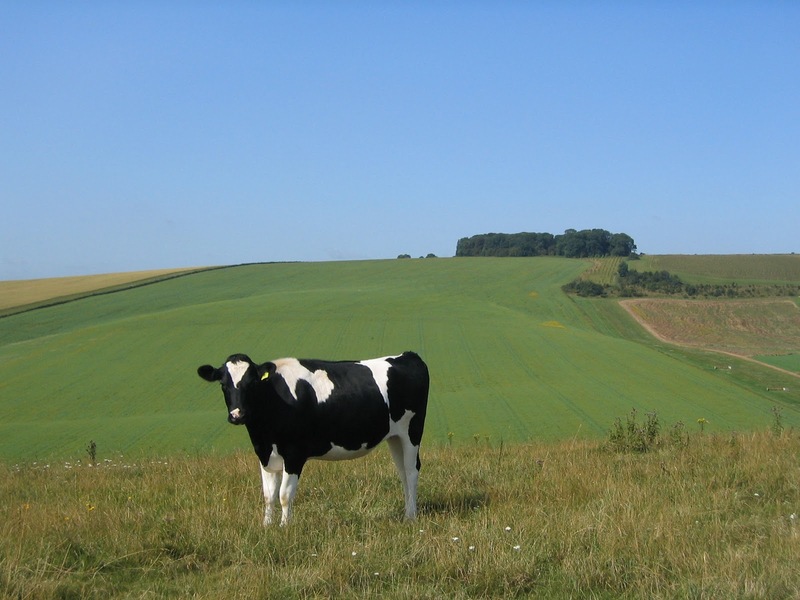 The cow is known well amongst farmers for its ability to interbreed with species that are closely related to the cow. These can include yaks and bison, where these animals have been successful bred with the cow to produce hybrid cattle. Oddly enough though, the cow is unable to successfully breed with buffalo or water buffalo. 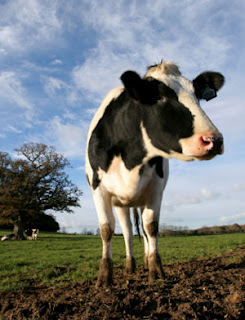 The cow has just one stomach (not four) but the cows stomach contains four separate compartments that work with the complex digestive system of the cow which allows the cow to control substances that are difficult and near impossible for many other animals to digest. It is commonly thought that cows, mainly male cows called bulls, are aggravated by the colour red. This is in fact not true as cows are colour blind and cannot distinguish between different colours. This common misconception has come about from the days of bull fighting where trainers were typically seen using a red flag. It is not the colour of the flag that would spur the cow on but in fact, the waving of the material itself. Rouge cow? (paragraph one) I think you mean rogue cow unless it's been at your make up! Interesting information and images. Enjoyed reading your post. NICE. IT'S A VERY USEFUL INFORMATION FOR US......THANKS.. www.sigunsa.com - All about pets you can find here. Some tips of taking your cat, dog, rabbit, hamster, etc. They are all without horns ! I prefere cows, that are allowed to have horns. This is the page of the owner of one of Google's most important images! Anyone up 4 some beef? I love cow. They give us milk and food. awww their smazin!!!! 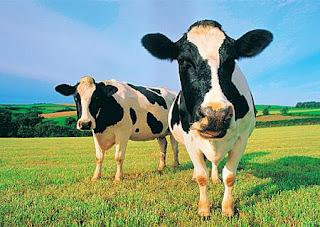 COWS ARE EPIC!!!!! Cows can breed with buffalo, the hybrid is know as a beefalo and is fairly well know. 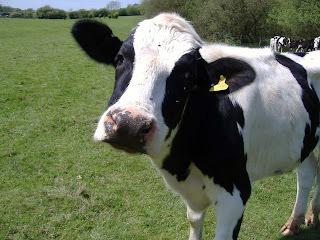 i love cows i have 60 head i live on a farm! !